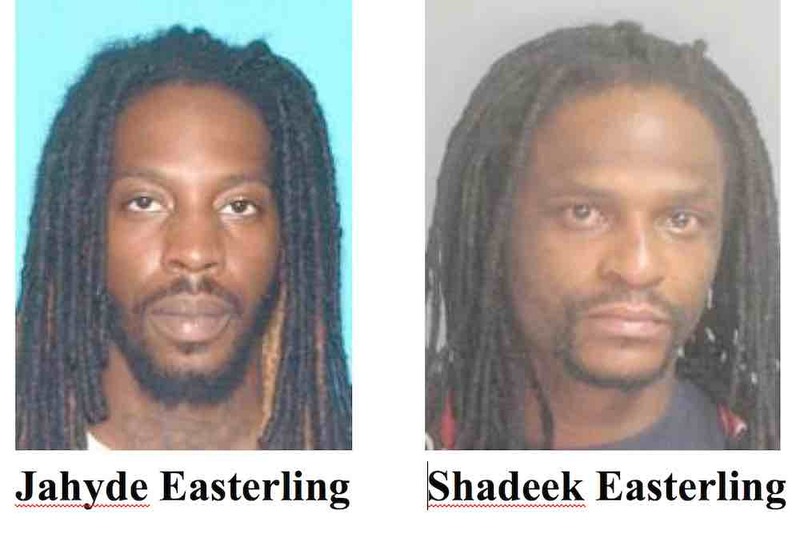 Newark – Acting Essex County Prosecutor Carolyn A. Murray and Irvington Police Director Tracy Bowers announced today that Jahyde Easterling, 26, of Irvington and Shadeek Easterling, 34, of East Orange have been charged in connection with the murder of Lloyd Brummel, Jr., 38, of Irvington. Shadeek Easterling is charged with conspiracy, murder, unlawful possession of a weapon and possession for an unlawful purpose. Jahyde Easterling is charged with conspiracy to commit murder. On Oct. 25, at approximately 4:35 p.m. Brummel was fatally shot while standing near his work vehicle in the 300 block of Myrtle Avenue in Irvington. The two Easterlings, who are cousins, were taken into custody today by detectives from the Essex County Prosecutor’s Office and the FBI after warrants were issued for their arrest. The Honorable Michael L. Ravin, Judge of the Superior Court, set bail for Shadeek Easterling at $1 million with no 10 percent. Bail for Jahyde Easterling was set at $750,000, also with no ten percent. They are currently being held at the Essex County Correctional Facility in Newark. Essex County Prosecutor’s Office Chief of Detectives Quovella Spruill commended Lt. Daniel Frances, Det. DiLauri, Det. O’Neal and Det. Krusznis for their work on the case.